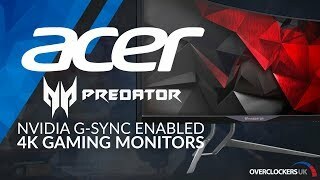 More links for "Predator Z301Cbmiphzx 30" 2560x1080 VA G-Sync 200Hz Curved Gaming Widescreen LED Monitor - Blac"
Check youtube before you will buy this model. Va panel makes this screen ghosting as f. You can buy better screen for this price. Avoid. OcUK Tech Labs - Asus Founders Edition GTX 1080Ti is a high performance graphics card with a full-cover EK water block.